You are currently browsing the tag archive for the ‘Germany’ tag. 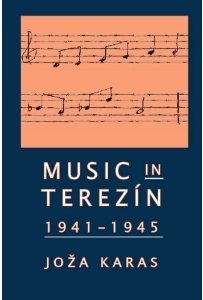 During the last two decades a formidable number of excellent studies have appeared in English and German that have given us an ever fuller picture of the compromised, politicized reality of Germany’s musical culture during the National Socialist period. Lily Hirsch’s book, A Jewish Orchestra in Nazi Germany: Musical Politics and the Berlin Jewish Culture League, is a valuable contribution to this body of knowledge. Hirsch draws on previous scholarship published in Germany—notably Henryk Broder and Eike Geisel’s Premiere und Pogrom: der Jüdische Kulturbund 1933-1941, and Geschlossene Vorstellung: Der Jüdische Kulturbund in Deutschland 1933-1941 published in conjunction with a 1992 exhibit at Berlin’s Akademie der Künste, which houses the Kulturbund archives—and significantly expands on this material through interviews with League members and subsequent archival investigations. 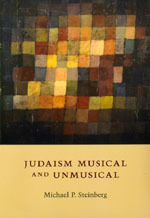 In so doing, she makes available to Anglophone readers for the first time a comprehensive and nuanced telling of the origins and activities of the Jüdischer Kulturbund, or Jewish Culture League, the self-imagined, Nazi sanctioned, Jewish cultural organization that staged musical and theatrical performances for Jewish audiences in Nazi Germany between 1933 and its disbanding in 1941. As Hirsch’s study makes clear, the League’s history remains one of the more poignant examples of the complex, ever-narrowing field of choices Germany’s Jews were forced to navigate after the Nazis assumed power and enacted anti-Jewish exclusionary legislation (intended to protect the purity of Aryan culture) that restricted all aspects of their public and private lives. The Wonder and the Grace of Alice Sommer Herz: Everything is a Present. Dir. Christopher Nupen. DVD and Liner Notes. Allegro Films, 2009.